After the recent merger with Trinity Lutheran Seminary put Capital into $2 million worth of debt, university officials were desperate to find a new source of revenue for the school. The decision was made to sell S Lot permits to Bexley residents, in addition to students, for the upcoming school year. 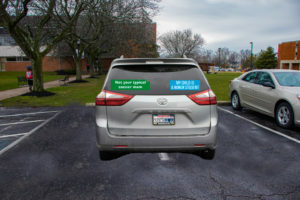 “Despite the complications we have experienced in the past with the overselling of parking permits and the already limited parking space our campus has to offer, we felt that this was the best choice to make at this time,” Jody Funion, provost, said. Mayor Ben Kissler is excited for this chance to partner with Capital. Capital will also be working with the City of Bexley over the summer to turn Renner Lawn into a parking garage. The garage will be 3 stories tall and will only be accessible to Bexley residents. The money made from the garage fees will be used to pay off the summer home that the university bought President Paula Bethany in Tampa. The process through which students purchase parking permits will also be getting a makeover for the fall. 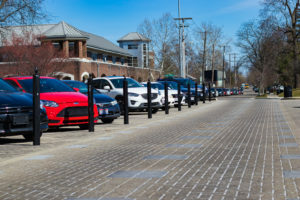 Instead of just going online over the summer to purchase a permit, students will now have to pass a written exam and a road test prior to July 1 in order to obtain a parking permit permit, which will prove a student’s worthiness to park next to Bexley residents in to-be-shared S Lots. The new parking permit permits will include an online access code, which will unlock the page where parking permits can be purchased. The make and appearance of a student’s vehicle will also factor into whether or not they get the chance to buy a permit for the next school year. Unfortunately, not everyone is on board with the university’s decisions. Some feel that these upcoming changes should be curbed.